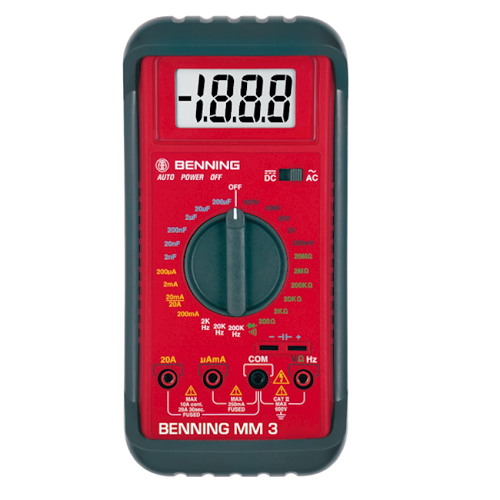 Sturdy plastic casing with large-format, 4 3/4″″, 4″″ or 3 1/2″″ LCD display. 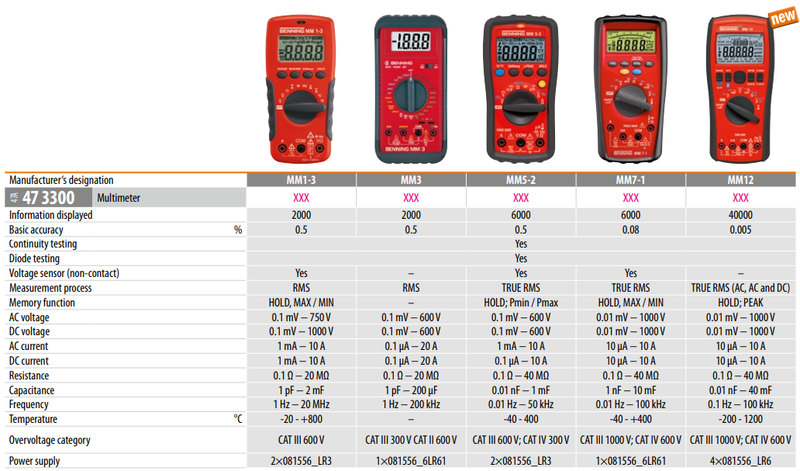 Digital service multimeters for a wide range of applications. These provide a high level of safety and other additional functions. IEC / DIN EN 061010-1 (DIN VDE 0411-1). Batteries, probe leads, compact protective case, operating instructions.